Alcohol use disorders were significantly associated with all other risk factors for onset of dementia. Alcohol use disorders are a major risk factor for the onset of all types of dementia, particularly early-onset dementia, according to the results of a nationwide retrospective cohort analysis published in the Lancet Public Health. The investigators sought to examine the association between alcohol use disorders and dementia risk, focusing on early-onset dementia (ie, <65 years of age). Patients ≥20 years of age who were discharged from the hospital from 2008 to 2013 were evaluated. The primary exposure was alcohol use disorders, and the main study outcome was dementia. Onset of dementia was defined by the age at first dementia diagnosis (recorded between 2008 and 2013); diagnoses that occurred when a patient was <65 years of age were classified as early-onset dementia. The onset of dementia was divided into 3 categories: alcohol-related brain damage, vascular dementia, and other dementia (including Alzheimer disease). Of 31,624,156 adult patients discharged from French hospitals between 2008 and 2013, a total of 1,109,343 were diagnosed with dementia and were included in the study. Among 5.2% (57,353 of 1,109,343) of cases of early-onset dementia, most were either alcohol-related by definition (38.9%) or had an additional diagnosis of alcohol use disorders (17.6%). Alcohol use disorders were identified as the strongest modifiable risk factor for dementia onset in both sexes (adjusted hazard ratio [aHR], 3.34 [95% CI, 3.28-3.41; P <.0001] in women and aHR 3.36 [95% CI, 3.31-3.41; P <.0001] in men). In sensitivity analyses on dementia case definition (including AD) or older study populations, alcohol use disorders remained associated with dementia onset in both men and women (aHR >1.7). Moreover, alcohol use disorders were significantly associated with all other risk factors for onset of dementia (P <.0001). 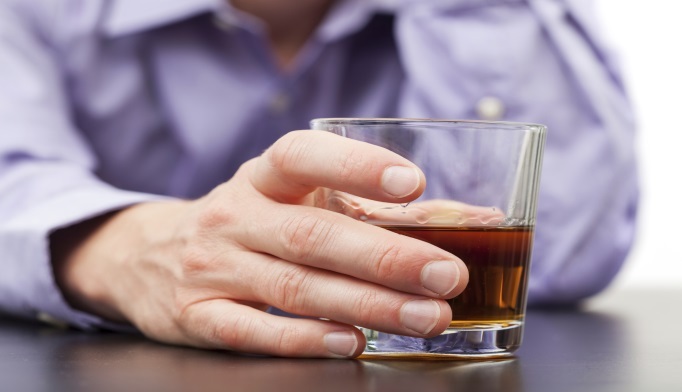 The researchers concluded that based on the findings of this study, screening for heavy drinking should be part of routine medical care, with treatment interventions being offered when deemed necessary. In addition, other alcohol policies should be considered in an effort to decrease the rate of heavy drinking in the general population.